Linari Luce fragrance is another triumph from the celebrated perfumer Mark Buxton. Zesty bergamot opens the accord and entwines with the calming and exotic jasmine at the heart. The lingering sensuality of musk and cedarwood in the base is sheer ecstasy for the senses. All the elements come together in harmony for a perfect scent. It evokes a peaceful contemplation, quiet walks and freshness of the heady air. Linari Luce room spray is fresh and clean without being overpowering. Celebrate the evocative fragrance that oozes charm and elegance. Transform your surroundings into a temple for your soul. Turn your home into an inviting space that offers an openarm welcome to your visitors. 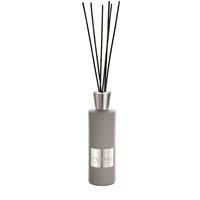 Enhance your entertaining and living style with our Linari Luce room spray. The flacon of Italian glass has a gleaming graduated gold color. Unique lid with alternating light and dark wooden veneers complete the classy look. 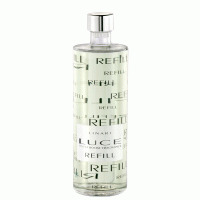 Linari Luce room spray comes in a 100 ml bottle and is a classic addition to any room.